Here is for sale a very nice ubu yari signed Ishido Suketoshi from the shinto era, mounted in good quality shirasaya with a nice sayagaki (that I can't read). 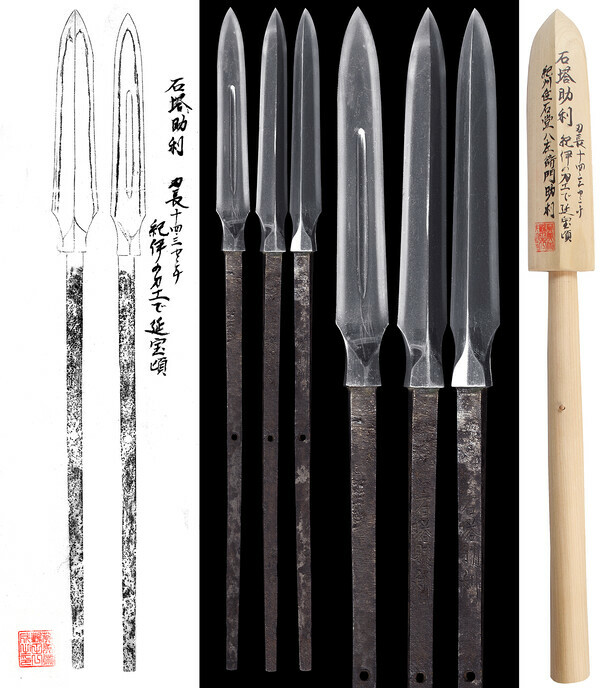 This sankaku yari is in good polish, the nagasa is 14 cm long and the length of the nakago is 24 cm. I bought it years ago in AOI ART has you can see with the picture provided. 700 USD or 620 Euros (plus shipping, plus Paypal fees). Any questions, any pictures, please contact me by PM. The sayagaki makes an attribution to the third generation Yamashiro swordsmith Ishidō Suketoshi.